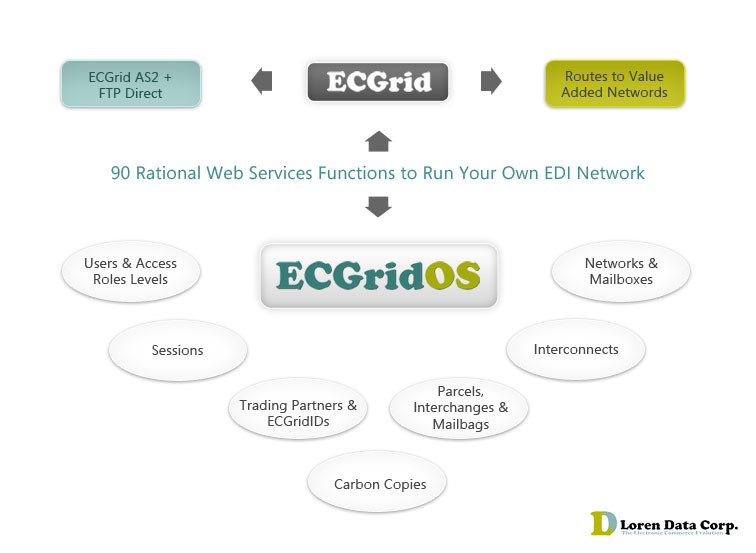 Be your own EDI Network, with ECGridOS. ECGridOS embeds the power of a global ecommerce network within your server, cloud platform, or application. Offer EDI Message Routing in Your Network Services Stack. Include EDI Communications as a Platform service, not an afterthought. Provide Self-Service EDI Network Controls within your product.